blood. Compressed air seems to provide a simple and reliable way of either activating the diaphragm or compressing the sac, with a pressure more comparable to a physiologically acceptable waveform. However, this design requires a bulky driving console, compromising the patient's mobility. In other ventricular assist devices, the diaphragm is activated by a slow-torque electrical motor that is small enough to be incorporated into the implantable unit. Thus, patient mobility is significantly improved with this type of ventricular assist device compared to the ones driven by a pneumatic console. Because the diaphragm is propulsed by a noncompressible metal, the pressure waveform during ejection is less physiological, with a rather rapid rise in pressure over time (dp/dt); the peak dp/dt could be many times higher than that generated by a normal heart. This could translate into a significant mechanical load on the inflow valve during the ejection phase and subsequent premature inflow valve failure. Furthermore, such an abnormal pulse wave and sudden increase in patient's cardiac output could adversely affect the central nervous system by causing cerebral edema. A volume displacement pump goes through a natural fluctuation in pressure in the driving chamber, but it either must have an implantable compliance chamber or it must be vented to the outside. Yet, to date ventricular assist devices with a totally implantable compliance chamber are bulkier to implant, and the compliance chamber itself has to be accessed from time to time to compensate for gradual dissipation of gas in the chamber. These features may thus compromise its application in the clinical setting, although its total implantability is attractive. On the other hand, the pumps with external vents still cannot be totally implantable. The driveline exit site can be a significant source of discomfort and infection. Even though patient mobility is significantly improved with an electrical motor-driven system, these systems tend to be bulky and heavy, resulting in pain and abdominal discomfort. Furthermore, this type of system requires replacing the entire system, rather than just switching out the external driving console (as in the air-driven system), when the motor fails. Some of the volume displacement pumps are designed to be placed outside the body, with inflow and outflow cannulas attaching the system to the ventricle and aorta. This type of system has the benefit of versatility, and even small patients can be supported with these paracorporeal pumps. However, an externally located pump attached to a driving console compromises the patient's quality of life significantly. Even though volume displacement pumps, with their relatively simple mechanical construction, are effective in replacing cardiac function in the clinical setting, to date they continue to have many shortcomings. Accordingly, different technological platforms are under evaluation for the next generation of ventricular assist devices. Archimedean pumps have been in use for centuries as a very effective means to transport fluids. A similar type of axial flow pump that featured rapid rotation of an impeller in a blood system was thought to be impractical given concerns about red blood cell destruction (Fig. 3), but that theoretical concern was recently discarded when a Hemopump® was successfully used in a clinical setting without significant hemolysis (3). The Hemopump has thus set the stage for evaluation of other types of axial flow pumps that could be used for blood. Nevertheless, with high-speed axial flow pumps, the heat generated by the motor must be sufficiently less than what the human body is able to dissipate in a physiologically acceptable manner. The amount of heat generated seems to be in an acceptable range, so it has not been a concern in creating clinically acceptable axial flow pumps. Importantly, an axial flow pump does not require valves to create a unidirectional flow. It does not require an external vent or a compliance chamber, thus making it more likely to utilize this approach to create a totally implantable system (Fig. 4). Furthermore, a motor attached to a turbine to drive the blood could be located even within the heart, and the outflow conduit could be connected to the ascending or descending aorta. Or, a pump could be connected to the apex of the left ventricle with an inflow cannula, and an outflow graft could be connected to the ascending or descending thoracic aorta. Fig. 3. Relative size of the impeller blade utilized to create flow in the axial pump (compared to a pencil). Fig. 4. Size of the Jarvik 2000 (Jarvik Heart, Inc. and Texas Heart Institute) axial flow pump, which like other ventricular assist device systems, has an inlet within the left ventricular apex and outflow connected to the aorta. The advantage of this type of system is that it will likely be totally implantable. Depending on the motor capacity and rotational speed, an axial flow pump could function either as a partial-flow or a full-flow support device. This type of ventricular assist device functions like an open tube in terms of pressure transmission; any pressure generated by the native heart would be transmitted to the distal vascular bed. Therefore, the forward flow generated by an axial flow pump could be augmented by pulsatility from the native heart. 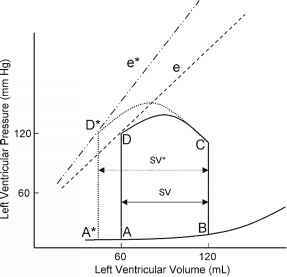 The amplitude of pressure waves would depend on the contractual state and preload of the left ventricle. To date, there is little accumulated clinical experience with axial flow pumps compared with that of volume displacement pumps. However, initial results appeared to be encouraging, with effective circulatory support and durability (4-6). 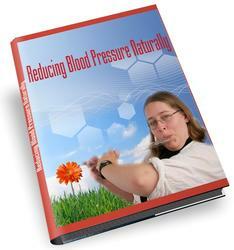 Diminished pulse pressure when utilizing an axial flow pump seemed to be tolerated well in patients, at least for the short term; the long-term consequences of axial flow pumps have yet to be evaluated. Some axial flow pumps require a suspension of the rotor with a contact point. The concern about potential wear over time needs to be evaluated through in vivo testing, but current in vitro data seem to indicate that the actual wear may be negligible for at least a few years. Hemolysis associated with axial flow pumps has been detectable, but is considered clinically insignificant. These pumps seem to activate platelets because of the physical strain on blood cells; yet, such activation may be an important source of intravascular thrombosis and embolic complications. Currently, intense anticoagulation regimens targeting platelet activation and clotting cascade have been employed to deal with the problems of thromboembolism. The development of a rare earth-based magnet within the past few decades has provided an additional potential technological platform for designing ventricular assist devices. 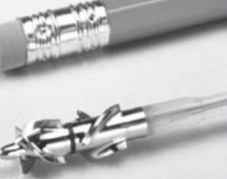 With this technology, a flow source could be suspended and rotated in a magnetic field, avoiding any need for a contact point and thus eliminating the concern of wear of the rotor over a long period of time. Furthermore, such ventricular assist devices would likely have very little mechanical friction resistance to overcome. Pulsatile flow could also be generated by a rapid variation of rotation speeds. The blood propeller could be designed in either a turbine or centrifugal form, potentially providing a reliable forward flow with pulsatility. 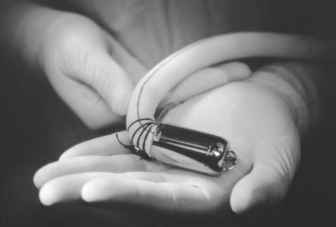 This type of futuristic ventricular assist device could be an open tube system as well, capable of transmitting the native heart's pressure wave. However, if the motor were to fail, the open system could result in significant regurgitant flow, worsening heart failure symptoms. In addition, no reliable backup support mechanism would be readily available unless specifically added (like a hand pump with volume displacement pumps).